UPDATED: Thu., June 21, 2018, 11:39 a.m.
An event that falls somewhere between “The Matrix” and the 2016 Malheur Wildlife Refuge standoff kicks off Thursday at the Spokane Convention Center. 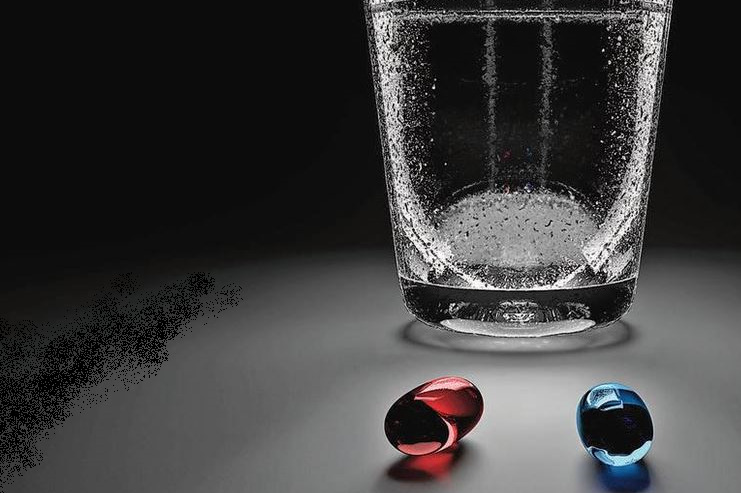 The second annual Red Pill Expo, a creation of conspiracy theorist and author G. Edward Griffin, expects to attract about 400 attendees, who paid between $400 and $420 each to listen to a long list of speakers warn them against the dangers of college, the deep state, vaccines, globalism, a rigged banking system and false reports of global warming. Shea, a Republican State Representative from Spokane Valley, visited the 2016 standoff at the Malheur National Wildlife Refuge in Oregon in what Shea later called a “fact finding” mission and to mediate if necessary. Shea, who will host a session at 8:10 a.m. Friday on “The Day I Took The Red Pill” did not immediately return a phone call Wednesday seeking comment. Happel said the event will begin Thursday evening with the premier of the movie, “LaVoy, Dead Man Talking,” which documents the life and death of Lavoy Finicum, 54, a rancher from Arizona, who was shot and killed by Oregon State Police on Jan. 26, 2016, as he reached for his pocket, which contained a loaded gun. The event showcases many of the “alt-right” theories that have gained traction in the past few years, said Ryan Lenz, a spokesman for the Southern Poverty Law Center, based in Montgomery, Alabama. The second annual event is led by Griffin, who according to published reports, believes cancer is a nutritional deficiency that can be cured by taking a certain compound, and that HIV does not cause AIDS. He is a longtime member of the conservative John Birch Society. Efforts to reach Griffin on Wednesday were unsuccessful. The first event was held last year in Bozeman. Among the speakers are Lord Christopher Monckton, who is described on the event website as former Prime Minister Margaret Thatcher’s policy adviser. “In 1986 he was among the first to advise the prime minister that ‘global warming’ caused by carbon dioxide should be investigated,” the biography reads. But according to the nonprofit legal advocacy group Southern Poverty Law Center, Monckton is a well-known skeptic of mainstream science’s understanding of climate change. He toured Montana last fall with two militia groups and supported Montana’s right to secede from the United States. Monckton, who speaks at 8:50 a.m. Friday, also has advocated for forcibly separating persons with AIDS and placing them onto an island; and he has claimed that LGBT people are sinners and more promiscuous than drug abusers, according to the legal advocacy group. Newman co-authored the book “Crimes of the Educators: How Utopians Are Using Government Schools to Destroy America’s Children.” In it, he claims that public school teachers have committed treason for deliberately dumbing down the nation to overthrow the government. He also claims that schools destroy a child’s belief in the Bible, push drugs and engage in extortion, according to the Southern Poverty Law Center. But according to the Southern Poverty Law Center, Wood is followed by anti-government activists and anti-Semitic white supremacist groups as the foremost authority on the “one world” globalist agenda. Happel, the event chairman, said the purpose of the convention is to give people alternative views. He praised Griffin for organizing the effort. Published: June 21, 2018, 6 a.m. Updated: June 21, 2018, 11:39 a.m.